Sasha Lessin Ph.D. (U.C.L.A. Anthropology, Ph.D.), author of Anunnaki: Gods No More and producer of the hugely popular web site, www.enkispeaks.com, studied with the late Zecharia Sitchin, for many years. Mr. Sitchin asked Lessin to create popular internet, book and college-level courses to revise ancient anthropology. Sitchin asked Dr. Lessin to help disseminate written, graphic and traditional stories of ETs, hithertofore considered mythic “gods” on Earth from 450,000 – 300 BCE as well as the latest findings in astronomy that relate to the planet Nibiru from which the ETs came to Earth for gold to shield their planet, Nibiru. Sasha Lessin, Ph.D., author of Anunnaki: Gods No More and producer of the hugely popular web site, www.enkispeaks.com, studied with the late Zecharia Sitchin, for many years. Mr. Sitchin asked Dr. Lessin to create popular courses to revise ancient anthropology and add the aliens, the Anunnaki, on Earth from 450,000 – 300 BCE. To appreciate ethnology, Lessin’s specialty in Anthropology, he invites you to empathetically review stories our ancestors recorded and recited of Extraterrestrial (ET) gods. The people of the ancient world described the gods as giant humans with what we would call Tesla technology, spacecraft, weapons of mass destruction and interplanetary travel charts. The tale that these gods created us is true, they weren’t gods, they were just big people. Janet Kira Lessin, is a lifelong scholar, an experiencer of Extraterrestrial and interdimensional contacts, and a student of Sitchin. She immersed herself in studies of Ninmah the Anunnaki and receives direct downloads from Ninmah, the geneticist from whose womb we all received our mitochondrial DNA. Janet expresses Ninmah Consciousness: peace, longevity, respect for consciousness, justice for women Earth, and membership in galactic society. She has co-authored Anunnaki: Legacy of the Gods with husband, Dr. Sasha Lessin. Janet has attended many of the Zecharia Sitchin courses and interviewed on her radio station, Aquarian Radio, many of the experts on the the ancients–Michael Tellinger, Lloyd Pye, Andy Lloyd, Gerald Clark, Paul Von Ward, Andrew Basiago, Lynett Mallor-Horn, Alex Teplish, Peter Moon, Bob Evans and more. Janet’s expert in helping contactees integrate their experiences and use them to improve their health and society. She and Dr. Lessin have facilitated many experiencers of extraterrestrial, interdimensional, reincarnational, holotropic and future-viewing experiences. 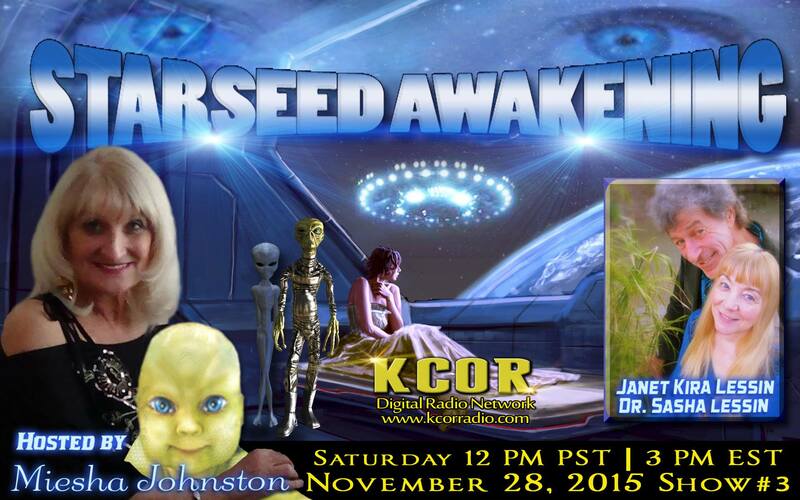 A lifelong Experiencer, Janet’s life has been full of paranormal and extraterrestrial experiences and contact. Janet Kira Lessin, a lifelong scholar and experiencer of ET contacts, and a student of Sitchin as well, is the voice of Ninmah consciousness and is dedicated to bringing the wisdom of Ninmah to the world. She has co-authored Anunnaki: Legacy of the Gods with Dr. Lessin. Together, the Lessins us through an evocative history of giants from the planet Nibiru. They share evidence the giants created us from their genome work for them from the ancient past till now. This info, they say, frees us from the god-spell, the nation-spell and the materialist-spell, the master-slave, god-devotee, boss-worker, lord-tenant model ETs from planet Nibiru imposed on us. Our true history frees us to create our own future, activate our latent Nibiran genes, better our genome and join galactic civilization. 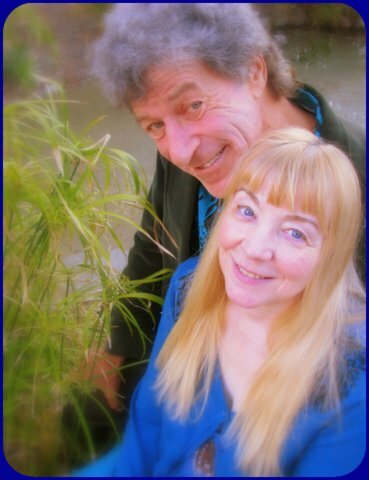 The Lessins are available for lectures, private counseling, hypnotherapy and private tutorials. 808-244-4103 (We live in Maui, Hawaii so please be aware of the time difference when calling). She has co-authored “Anunnaki: Legacy of the Gods” with husband, Dr. Sasha Lessin. Janet Kira and Dr. Sasha Lessin, 1371 Malaihi Road, Wailuku, HI 96793, office 808-244-4103, cell 808-214-3442, skype: janetlessin. 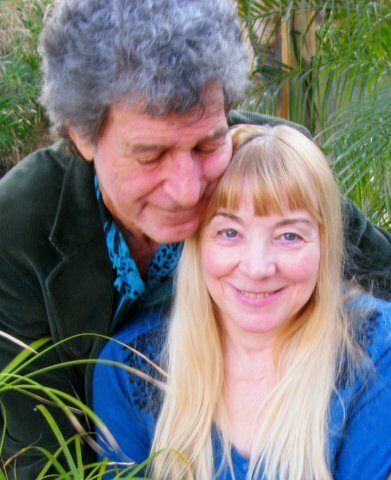 The Lessins teach and employ hypnosis, Jungian Pastlife Therapy, Holotropic Breathworker, Yoga, Tantra (education, counseling, workshops, seminars & certification), Spirit Releasement, Extraterrestrial and exopolitical deprogramming, Voice Dialogue Centering, Existential Analysis, Gestalt Therapy, Spiritual growth, relationship counseling and Psychosynthesis. Also related Facebook pages, groups and sites on tantra, consciousness, counseling, extraterrestrial and paranormal contact. They specialize in clearing intensives, facilitated regression, progression and shamanic journey work.